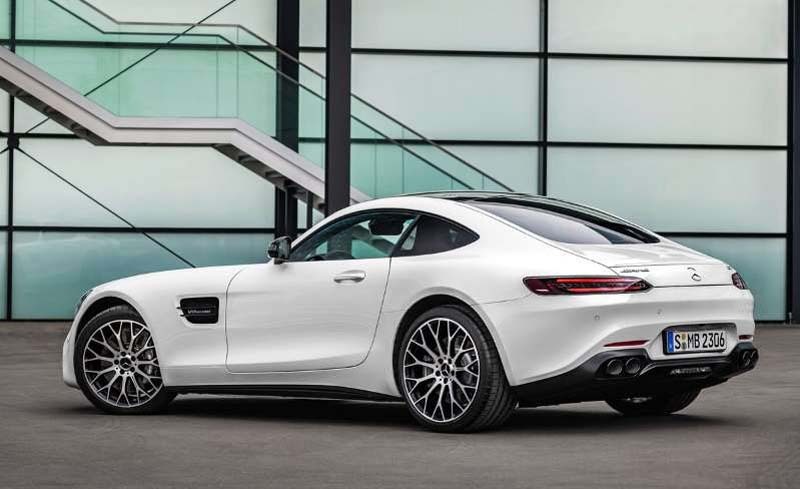 © Mercedes-AMG New styling cues, infotainment features, and dynamic enhancements improve AMG's already excellent sports car. 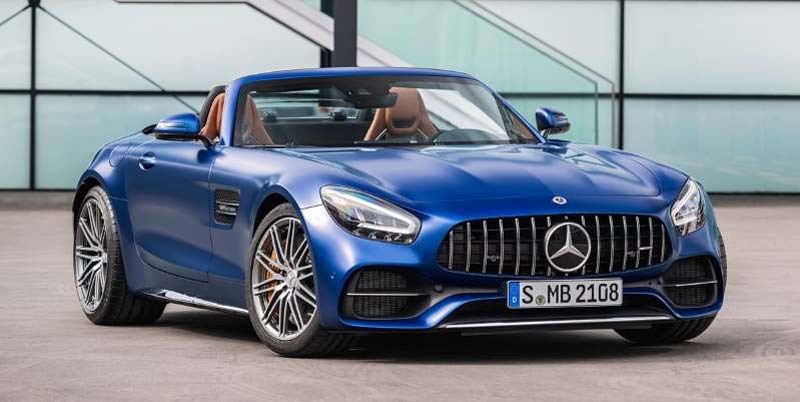 Four years after the debut of the Mercedes-AMG GT, the German performance brand has updated its two-seat sports car for the second time. The 2020 model year brings improved dynamics, new tech, and a bit of fresh styling to the GT lineup, which received a facelift and gained the roadster body style and GT C variant in 2016. Also new for 2020 is a track-oriented GT R Pro model. As that last update brought major upgrades to the GT's engine lineup, the car's powertrains are unchanged. Every version of the GT is powered by a twin-turbo 4.0-liter V-8 mated to a seven-speed dual-clutch automatic transmission. The base GT gets 469 horsepower and 465 lb-ft of torque, while the mid-range GT C boosts that to 550 horses and 502 lb-ft. The range-topping GT R is the highest-performance version, with 577 horsepower and 516 lb-ft. The GT S model, which used to sit between the GT and GT C, has been dropped for 2020. Since that 2016 facelift also brought some major styling changes to the GT, updates to the design for the 2020 model year have been kept to a minimum. At the front there are new LED headlights, and the LED taillights have been slightly updated. The GT and GT C models have a new rear diffuser, with the base model getting quad round tailpipes and the GT C receiving quad rectangular pipes; both models previously had trapezoidal dual exhaust. There are a few new wheel options, paint colors, and interior color schemes, as well. The interior of the GT gets the fresh center console that debuted on the GT 4-Door earlier this year. It uses small touch-capacitive display buttons for settings like driving modes and other performance features. A new steering wheel uses similar buttons and a rotary dial for controlling the GT's main functions. Now standard is a 10.3-inch central screen and a configurable 12.3-inch digital gauge cluster, the former of which features AMG's Track Pace telemetry app, which uses GPS and sensors to record lap times and other data while on a track. In terms of actual dynamic improvements, every GT now gets the AMG Dynamics system that first appeared on the new C63. The four settings—Basic, Advanced, Pro, and Master—are tied to the GT's existing driving modes, and they further control the stability-control system to improve handling without making the driver feel like the car is driving them.